This site displays some of my sample portfolio static sites. While my current development focus is on crafting great WordPress sites for clients, I can also make static sites or utilize the design ideas and techniques found here (embedded Google maps, font icons, etc.) on WordPress sites. 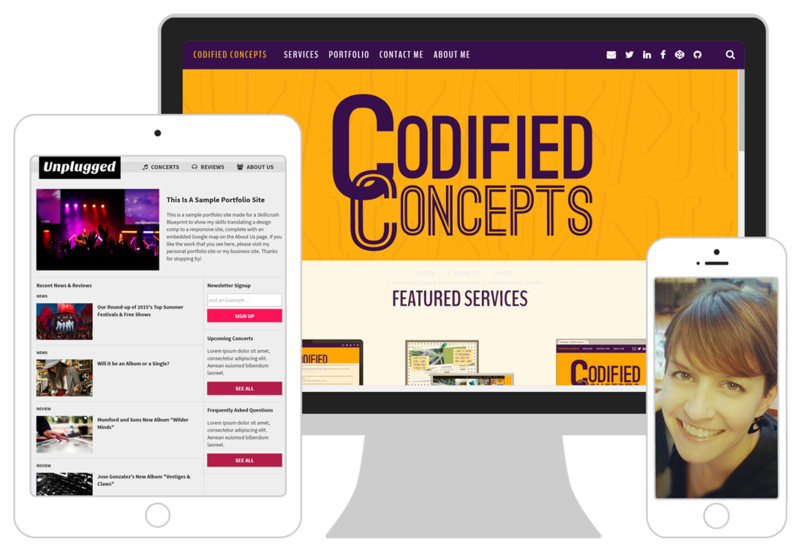 If you like the work that you see here, please visit my personal portfolio site or my business site and think about hiring me to help you craft your beautiful and responsive web presence. Unplugged—In this course project, I was provided with Photoshop design comps for mobile, tablet, and desktop view and my task was to translate the design into code, make it responsive, and make any necessary adjustments to improve functionality.